 The latest Open Lecture at Dundee’s Al-Maktoum College of Higher Education will focus on the continuing suffering in Syria and the role of different religious communities in attempts to restore peace. The Rev Andrew Ashdown, an Anglican priest who has been travelling and leading groups to the Middle East for over 30 years, will be speaking at the College on Thursday, February 1. His talk will be an exploration of Christian-Muslim relations in Syria, both prior to, and in the midst of, the current conflict. But he will also discuss how some religious groups are currently trying to work together to provide a humanitarian response to the crisis at local level while acknowledging the profound fracturing that the conflict has created. 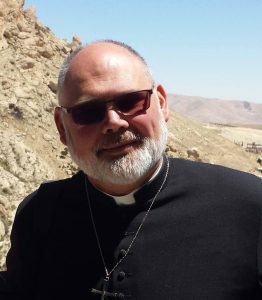 The Rev Ashdown has met with many religious and political leaders in Palestine, Egypt, Lebanon and Syria – and in May last year, he spent a month independently in Syria undertaking research into the subject of Christian-Muslim relations. He believes that despite the trauma and pain that the country has suffered, the commitment of many to the recovery of co-existence and tolerance means that Muslim and Christian leaders can play an important part in reconciling the country and rebuilding trust and peace. Dr Abubaker G. Abubaker, the College Director of Operations, said: “This will be a hugely topical lecture given what we know is happening in Syria at the moment. This is the College’s eighth Open Lecture series that started eight years ago. Speakers from all over the world have accepted an invitation to deliver lectures on topics related to religion, Islam, Muslims and interfaith relations. 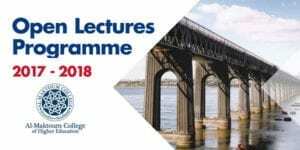 The free lectures, which run through to June, form part of the College’s mission to establish a bridge between Muslim communities and societies and non-Muslim communities and countries. The lecture, “An exploration of Christian-Muslim relations in Syria, both prior to, and in the midst of, the current conflict” takes place at the College on Thursday, February 1, 2018 at 6 pm. It is free to attend and open to the public. However registration is required due to capacity.